Having stopped overnight at the Hotel Castello, a delightful boutique hotel within the historic curtilage of Asti’s ancient castle, I was driven to my centralised tasting by Ornella Franco, who is responsible for Asti’s public affairs. 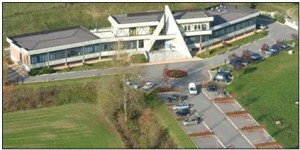 My last tasting in Asti was conducted at the consorzio’s dusty offices, which are housed in a classic Liberty style building (Stile Liberty is the Italian equivalent of the French Art Nouveau, although ironically it is named after Liberty & Co of London, which promoted Art Nouveau) in Asti itself. The consorzio building has always been in need of repair, particularly its potentially fabulous but ever-neglected staircase, but at least they had renovated the formerly gloomy offices since my last visit. However, tasting in an office environment is never ideal, so as Ornella drove up to the consorzio’s “Laboratori”, a modern laboratory and cellars of definitively A-frame design in Isole d’Asti, I was looking forward to tasting in a purpose-built tasting room. Ornella left me staring at an iconic Vespa in reception, trying to decide whether it was supposed to be a work of art (there was a jacket, shirt and tie posing as a work of art on a valet stand at Hotel Castello, so you can never tell in Italy) or simply had been parked there by one of the secretaries in case it rained. I was still trying to make up my mind when Gianpaola Baldi, the PR for Brachetto d’Acqui, came down the stairs, introduced herself and told me that the room was ready for me to start tasting. “Good.” I said and followed her back up the stairs. Only it wasn’t because I was 10 foot away from the tasting room when the smell hit me: a melange of sewage, mercaptans and fixed-sulphur! I managed by opening an external, first-floor door and a window to get a through draught, but for what is one of the most important rooms in the building, it really is disgraceful and certainly not something you should show off to visitors. The size of the room and facilities are not fit for purpose. It is smaller than the tasting I had 25 years ago. It needs purpose-built racking and professional-level chillers, rather than adapting a couple of domestic fridges, but the worst aspect was the tasting table. This had been constructed to provide half-a-dozen tasters each with a half-plumbed-in spittoon and electric sockets. The half-plumbing consisted of piping away the waste, but no running water. I was given a bottle of water to pour down the sink, but over time this has led to the build-up of sewage, mercaptans and fixed-sulphur smells that greeted me 10 foot outside the room. It all needs to be ripped out, deep-cleansed and refitted. The good surprise was, however, the Alta Langa tasting. 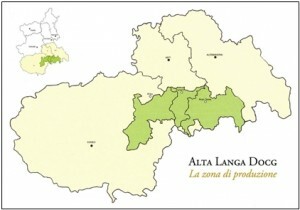 This DOCG is located in Piedmont, where it overlaps hilly parts of Asti DOCG and Brachetto DOCG. A minimum of 90% Chardonnay and/or Pinot Noir (plus any locally authorised non-aromatic variety), the vines for which must be planted at a minimum altitude of 250m on moderately fertile soil that is rich in marl, limestone and clay. Areas affected by humidity, such as transpiration from nearby forests, and flat land are strictly forbidden. Minimum vine density is 4000 per hectare, with only short vertical trellising allowed. The maximum yield is 11,000kg/ha and harvesting must be by hand. Only white and rosé styles are allowed and the method of production must be metodo classico with a minimum of 30 months on yeast. To field 20 wines and find no less than half to be Silver or thereabouts* and higher is nothing short of outstanding. Maybe it is pure chance, but I have never experienced such a high success rate in any other Italian brut-style sparkling wine appellation, not even Franciacorta. I would have liked to have seen a few solid Golds, but it is nevertheless an extraordinary performance and one that deserves to be recognised on a grander scale. I would dearly like to see the Alta Langa DOCG receive its due recognition at this year’s Champagne & Sparkling Wine World Championships (CSWWC), but that can only happen if the wines are entered and no Alta Langa DOCG was entered in the first year. I make no guarantees; there are three CSWWC judges, I am only one of the judges and my evaluations are personal opinions, but they are a pretty good guide to what should and should not be entered. Alta Langa producers should be aware that the CSWWC has a magnum class and that a wine judged to be Bronze or Silver in 75cl will more often than not turn out to be, respectively, Silver or Gold medal quality in magnum. If producers are in doubt, they should see me Franciacorta piece here and if further proof is needed, why not enter both to see how their wine performs under totally blind conditions in both bottle formats? Producers who submitted wines to my tasting in Asti and who are not mentioned below should not submit those wines to the CSWWC because the likelihood is that it would be a waste of their money. The CSWWC is more interested in finding truly special sparkling wines than it is in to maximising profits by attracting as many entries as possible. Having said that, in the case of Alta Langa DOCG, I noticed that my colleague Essi Avellan rated some of the very same wines highly in Christie’s World Encyclopedia of Champagne & Sparkling Wine. As Essi and I usually agree with one another, it might be a matter of vintage, not the cuvée per se (indeed, I have also rated one of the producers not featured below very highly in past). In which case, it could be worthwhile for those producers to enter the next vintage, in 75cl or magnum or both, even if it is not quite ready for commercial release (the CSWWC is the only wine competition in the world that has a “future release” class for sparkling wine and a success in this category would make a blockbuster quote when it is released). Click on the snapshot from our online entry form below. The entry deadline for the CSWWC 2015 is 10 April, with 24 April the deadline for delivering samples (please find entry instructions here). Note *I say “Silver or thereabouts” because I have judged some wines to be between two levels (Bronze-Silver and Silver-Gold). In a competition I would have to make up my mind, but here I am being completely open and honest, indicating that should there not be a unanimous decision and it was open to discussion (not all wines, like people, can be pigeon-holed – some can sit on the cusp), I would be prepared to go higher or lower in my evaluation (depending on what medal I decide up). There is just a hint of oxidative note, which I would prefer not to be present, but there is plenty of clean fruit to take this without being overwhelmed. The mid-palate and finish shows true yeast-complexed fruit. Bronze-Silver? Another example with oxidative notes and in this wine it works because it melts into of the creamy-fruit on the finish. Bronze-Silver? Despite having plenty of rich fruit, this wine also has an elegant construction, with the fruit on the palate tapering nicely to the finish. Silver-Gold? Delicious, ultra-fruity aroma with fine clean oak lines, and the fruit on the palate tapering to a lovely clean finish. Really quite delicate. Has finesse. Silver or Silver-Gold? Ultra-fruity, creamy-oaky fruit of some elegance (unlike Fontanafredda’s Extra Brut and the Vigna Gatinera, there is no mention of oak on the technical fiche of this wine, but there are certainly oak aromas when tasting). Silver. Pure fruit-driven style supported by beautifully integrated oak. This is so young for a 10 year old sparkling wine, but with just 2.2g/l of residual sugar and being such a beautifully balanced dosage, I would recommend drinking it within a few months of purchase. Not withstanding the sentiment of that statement, I would also be intrigued to follow its post-disgorgement evolution over a few years! Silver. Clear bottle (no DMDS in this sample, but you must store this and all other wines, particularly sparkling wines, in clear glass bottles in complete darkness, even if you intend drinking it within 24 hours, as foul-smelling DMDS can build within just 60 minutes exposure to natural or florescent light). Fontanafredda’s Contessa Rosa Rosé has a delicately-pale salmon colour and is packed with very fine, focused, lingering fruit. Silver. This maybe a little foursquare on first approach, but it has such elegance on the palate and excellent yeast-complexed fruit on the finish that it is definitely a solid Silver. Long and fine with gently rich, yeast-complexed fruit of some finesse. Silver-Gold? Lovely, ultra-fruity style with a vanilla peacock’s tail on the finish. So utterly drinkable! Silver. If all the producers of this DOCG could be persuaded to the same lengths as the Franciacorta producers, both in terms of number of samples submitted and disgorging both 75cl bottles and 150cl magnums of exactly the same cuvee, a return visit could be useful to get to get a more in-depth overview of Alta Langa.